Who Thought Going Green Could Pay Off So Big for Not Only The Planet…But You Too? Global fashion retailer H&M is known for on trend clothing on a budget, but they are looking to change how clothing is recycled and they are looking to the global community for help. A contest is being sponsored through H&M Conscious Foundation which is a non-profit foundation funded by the Stefan Persson family who are the founders and primary owners of the worldwide brand H&M. 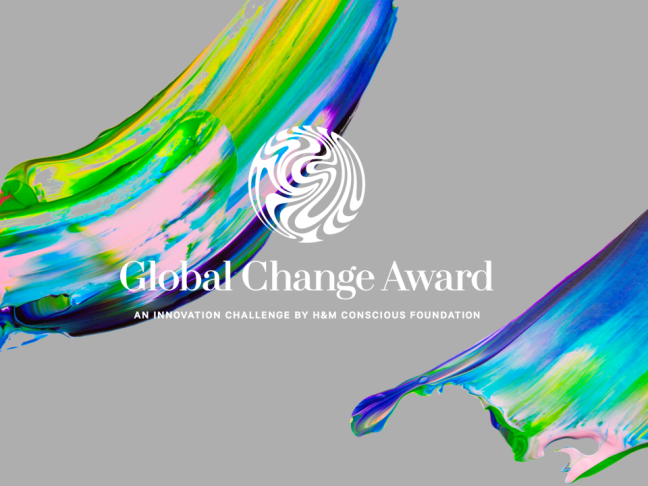 The H&M Conscious Foundation is sponsoring the Global Change Award which is looking to close the gap, conserve resources and change how worn out clothing is handled. It is relatively easy to recycle glass bottles and soda cans these days, but clothing is tricky. You have to do some research and find a place that will take your worn out t-shirts and pants and you have to drop items off. This is not nearly as simple as tossing items in a curbside bin. Needless to say, clothing is rarely recycled, which is somewhat crazy since clothing is essentially the one item every human being is sure to have and sooner or later every article of clothing wears out and will need to be recycled. The H&M Conscious Foundation realizes this is a major global problem and they are trying to find a solution, or rather, they are trying to find 5 people who have good ideas that with the proper resources and support could turn into amazing solutions. Applications are due October 31, 2015. A panel of judges will select 5 winners who will be announced in January 2016. Winners will receive a portion of the prize money and participate in training sessions to help them fine-tune their proposals in order to attempt to achieve results and make clothing recycling simple and common practice. It is great to see a major brand, such as H&M, identify a need for improvement within their industry and create a plan of action for a solution. This contest is an exciting way to round up some inventive and unique ideas and give several of the best proposals a good chance at changing how clothing is recycled. A great piece on Grist also points out that while efforts to improve recycling are fantastic and sorely needed, it would also be beneficial if clothing manufacturers stepped their game up and made quality clothing that did not wear out so quickly. If H&M’s clothing lasted longer there would be less apparel in need of recycling, but if H&M is able to find a solution to improve clothing recycling that will definitely help the planet. Will South Carolina Put an End to Plastic Bag Bans?